We get that the holiday season calls for glitter, sparkles, and enough sequins to make it look like you just robbed a Las Vegas showgirl, but sometimes style is found in whispers rather than shouts. Yes, this Rodarte Gold Star hair clip is far from subtle, but it’s a way to add a little shine to an outfit and give an unexpected detail to your ‘do. One of the biggest accessories on the runway, this clip has been seen on everyone from street style stars to editors to celebrities like Kristen Dunst. And while most hair accessories can look childish rather than stylish (when’s the last time you didn’t second guess a headband?) this piece is sleek, statement-making and adds just enough sparkle to a holiday look. 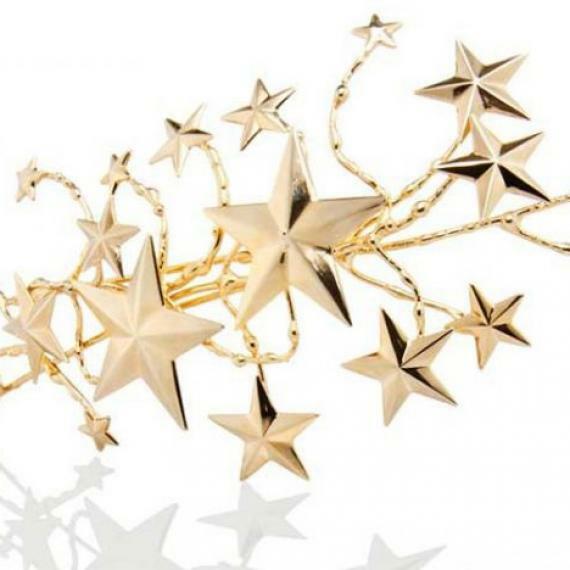 This hefty, gold-plated piece measures almost seven inches in length, but keep the rest of your jewelry minimal to allow this star-studded piece to take center stage.